Manufactured specifically for busy catering environments, this Professional Can Opener. Manufactured from a robust metal, it is easy to install and simply clamps on to any secure work surface. 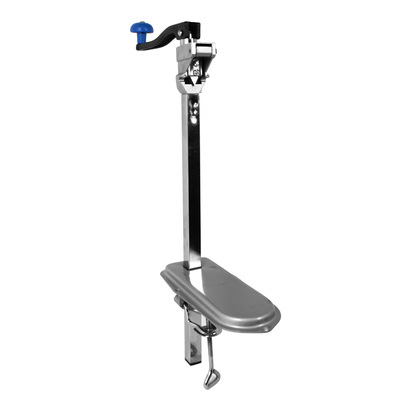 Suitable for opening cans up to 35cm in height, the opener features a durable handle for non-stressful use and has a polished surface that is easy to sanitise. A practical option for any working kitchen with large quantities of food processed every single day. Here at Gompels, we have a wide range of Catering tools to make your work life much easier. From our Cutlery Tray through to handheld Can Opener, you'll find the ideal product just for you right here.